Howie is available for adoption! Oh Howie... can you calm down a little? Howie can be very excited and curious, to the point he can be a bit unpredictable in his actions! Howie wants to run and explore and will escape a pen if you don't watch him carefully. 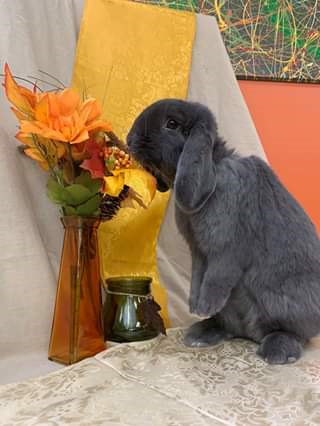 Because of how big a personality Howie has, he might be best in a home with rabbit experience. He is playful and eager and a handful! He's not a big fan of other rabbits and wants to harass them whenever possible.